Understanding and maximizing the effectiveness of Inbound Marketing may take some time and training, but the payback is significant. HubSpot's 2012 State of Inbound Marketing Report which is based on a survey of 972 marketing professionals, found that inbound marketing-dominated organizations experience a 61% lower cost per lead than organizations that predominately leverage outbound marketing. The average cost per lead for outbound-dominated businesses was $346. In comparison, the average cost per lead for businesses leveraging primarily inbound techniques was $135. 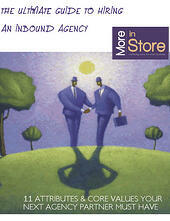 More In Store Marketing Solutions is Atlantic Canada's first Agency partner with Hubspot. Extensive training has allowed me to master this tool, driving results for my own business and for clients. 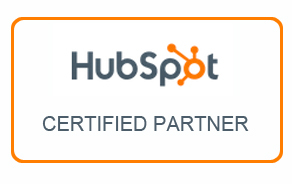 I have already helped several Halifax businesses realize significant business growth with Hubspot. In 2013, an MIT Sloan MBA student completed a research study on the ROI of using HubSpot software. The following are highlights of the key findings. Traffic Improvements: Overall, users experienced an average 2.7x increase in traffic after 12 months of active use. Lead Growth: Overall, users experienced lead database growth of 30.4x after 12 months of active use.